After decades of exile, the prophesies are coming true---King Cyrus has declared the Jews may return to Jerusalem. Iddo, a priest, is sure this is a sign of God's renewed favor. For too long they've remained in Babylon, and many, including Iddo's sons, are losing the faith that sets them apart. And so only a few choose to leave everything to return---return to their home and their God. Nothing about their journey to the Promised Land is easy. As hardships mount, even the faithful, like Iddo's beloved wife, Dinah, question the sacrifice of following God's leading. Zechariah, Iddo's oldest grandson, feels torn between his grandfather's ancient beliefs and the family they left behind. But one life-changing encounter with the Holy One gives him insight that will change Zechariah---and history---forever. 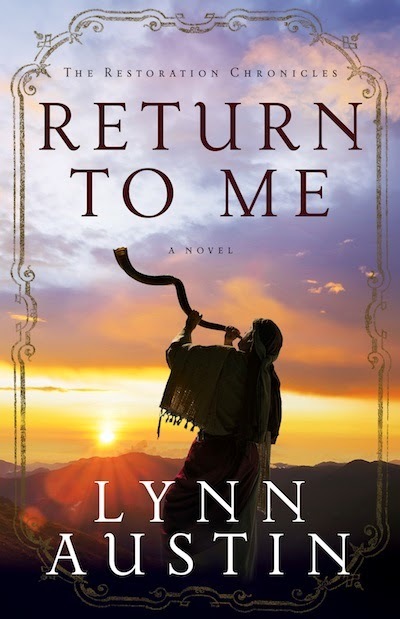 Bringing the Old Testament to vibrant life, Return to Me tells the compelling story of two men living by faith in the midst of doubt, the women who love them, and the faithful remnant struggling to rebuild their lives in obedience to the God who beckons them home. I have never been a big Biblical fiction reader, though some of it is better than others. I did read the Chronicles of the Kings Series by Lynn Austin, and loved them. 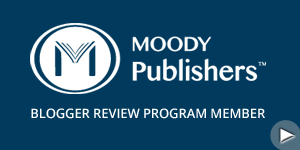 When I saw this book come up for review, I figured it had to be as good, so I signed up, and am glad I did. As with her other Biblical fiction series, Lynn has written about a part of the Bible that hasn't been used much, if at all, in fictional novels. This book, the first in The Restoration Chronicles starts out with Daniel being called to interpret the handwriting on the wall. It then goes on to cover the first return of the Israelites back to their country from Babylon. The only books I have read by Lynn Austin have been Biblical fiction, as her other books seem more geared for women, so I know nothing about her writing style in those books. However, I can say that she does a terrific job of portraying Biblical people and events, and it is obvious she has done a lot of research and reading to bring the Biblical narrative to life in such an interesting and exciting way. I've read these events in the Bible, and I am not diminishing the value of reading them there, but there is something to be gained by reading a book such as this. Lynn brought out so much that I hadn't considered or noticed in the Bible before, and even brought out interesting information about sacrifices, and what they meant and how they were done. Several of the characters in the book were fictional, but there were also some who are found in the Bible. The central character is the prophet Zechariah. The book starts out with him as a boy nearly twelve years old, and ends with him a married adult with children. There are true events and fictional events in the book, but I was more than entertained by reading this book. I learned a lot about the return of the exiles and what it may have been like for them to return to their country that had been destroyed, and of the things and people they had to overcome to rebuild the temple and their houses. Its not often that I have a hard time putting down a book that isn't suspense, my favorite genre', but I did have a hard time putting this one down. Fortunately, I had plenty of time to read it, and did read it in one day. I thoroughly enjoyed the book, and walked away with a better appreciation and understanding of this section of the Bible and how God led His people back to their home in spite of what seemed impossible odds. About Lynn: Bestselling author Lynn Austin has sold more than one million copies of her books worldwide. She is an eight-time Christy Award winner for her historical novels, as well as a popular speaker at retreats and conventions. Lynn and her husband have raised three children and live near Chicago. 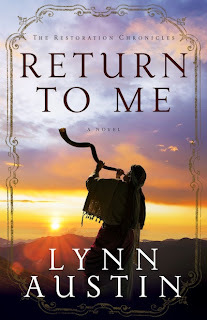 Lynn Austin is celebrating the release of Return to Me, the first book in her new Biblical fiction series, The Restoration Chronicles, with a Kindle Fire HDX giveaway and a Facebook Author Chat party. Enter today by clicking one of the icons below. But hurry, the giveaway ends on October 22nd. Winner will be announced at the "Return To Me" Facebook Author Chat Party on October 22nd. Connect with Lynn and friends for an evening of book chat, biblical trivia, prizes, and get an exclusive look at the next book in Lynn's Restoration Chronicles series! Don't miss a moment of the fun; RSVP today by clicking JOIN at the event page. Spread the word — tell your friends about the giveaway and party via FACEBOOK or TWITTER. Hope to see you on the 22nd! Giveaway #2: I have an extra copy of Return to Me that I will mail out to one winner. I am using Rafflecopter and there are a couple of ways to get extra entries. 1) You MUST comment on this blog post to get one entry- you can comment if you have read a Lynn Austin book before, or anything you want to say. Then click on the Rafflecopter that you commented. 2) Follow my blog. There are two ways: follow by email or follow through Google. Click that you did so on Rafflecopter for an extra entry. 3) Like Lynn Austin's Facebook page. Click that you did so on Rafflecopter for an extra entry. I love Lynn Austin books. Her Civil War series is my favorite! WOW! Thank you for the lovely review! I'm impressed that you read it in one day. I'm thrilled to hear that my book helped bring the Bible to life, that was one of my goals for this work. I hope you get a chance to read some of my other work, they aren't necessarily geared towards women but many of my main characters are women. If you're interested I'd recommend "While We're Far Apart" which takes place during WWII and one of the main characters is a man ;) Thank you for the thoughtful review! I've been hearing lots of good things about this book... definitely on my TBR list! I've read several of Lynn's books and really like them! Great review! Amazing that you were able to read it in one day! I miss those days of doing that! I love Lynn Austin and biblical fiction. Your review was great and would have made me want to read it even if I hadn't read biblical fiction before. I enjoy Lynn Austin books, have read several. Lovely review. I have not read any of Lynn's work before. But I have heard they are not to be missed. I love Lynn Austin's work. She has been my favorite author for years. I have read every book she's ever read except this newest one, which I would LOVE to win.